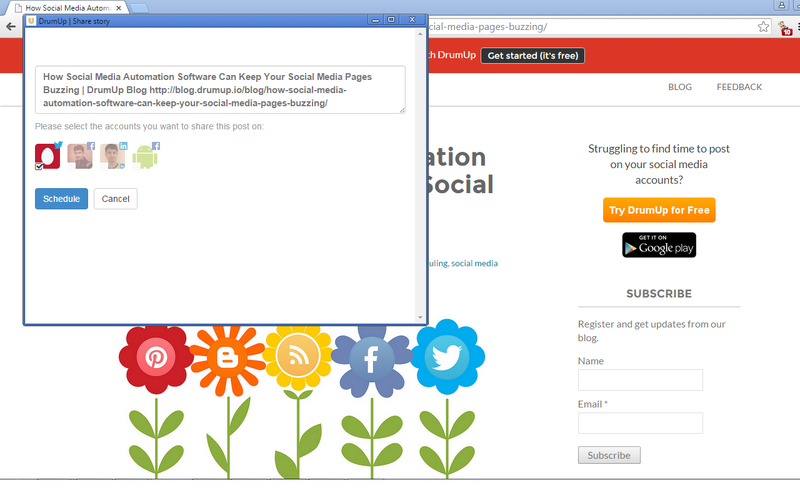 Want to share an article you are reading on Twitter, Facebook and LinkedIn without having to open a social media tool? Get DrumUp Chrome extension and conveniently schedule the post from your browser on multiple accounts at a time-date of your choice. 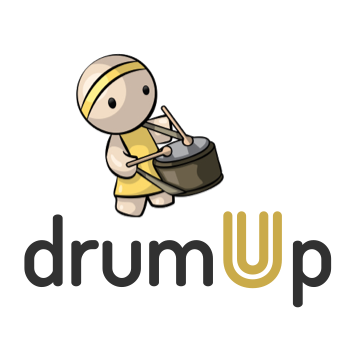 DrumUp Chrome extension doubles up as a great content discovery resource on your browser. 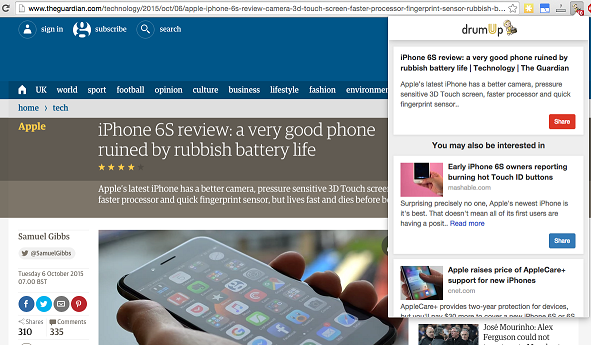 As you browse and read content, you get more content suggestions on similar themes from within the extension. What's more, you can even schedule these from the extension then and there. You can find tons of great, fresh content suggestions without having to search by keywords. On DrumUp Chrome extension, you get content suggestions on similar themes as your existing article from within the extension. 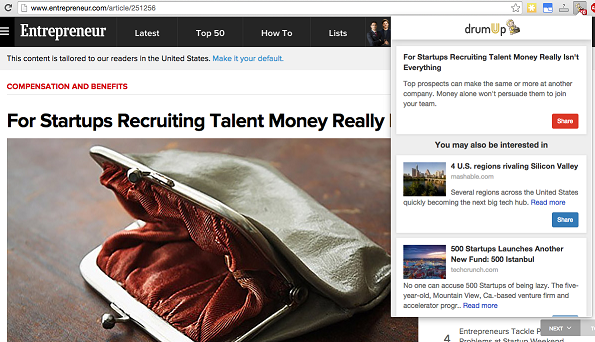 The extension becomes your research assistant and gives you hours of great reading material.